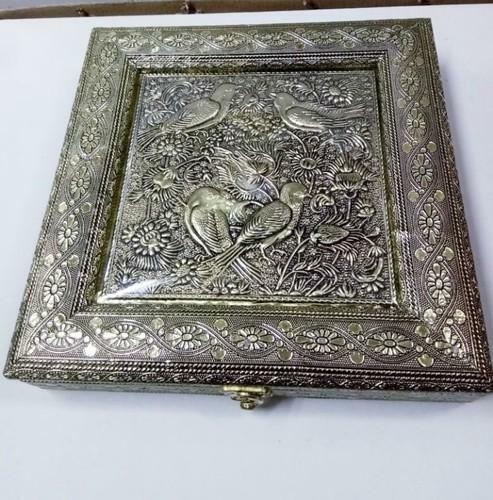 Incepted in the year 2004, in Ahmedabad (Gujarat, India), we “Vivek Handicrafts” are the reckoned manufacturer, exporter and supplier of premium quality Dry Fruit Boxes, Dry Fruit Tray, Designer Mandir, Pooja Items, Gift Items, etc. Our offered products are precisely designed with the help of optimum grade material and contemporary machines under the visionary guidance of trained professionals. Further, these products are stringently checked on different quality parameters before being supplied to our clients. These products are widely used for packing sweets and gifting purpose on special occasions and festivals. Our offered products are made available in different shapes, designs and sizes to meet vast necessities of esteemed clients in specified manner. The offered products are widely demanded for their enormous features like attractive shape, light weight, long lasting finish, crack resistance, water proof, anti corrosive polish and durability.